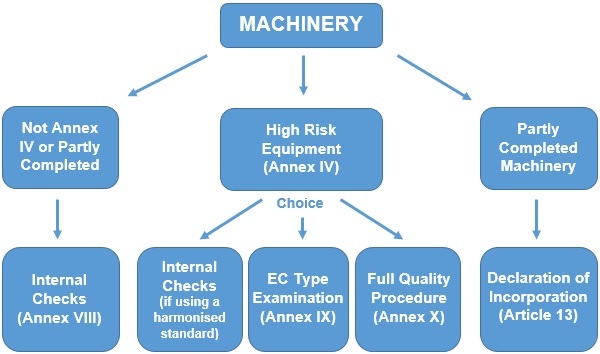 Machines that are being placed on the market in the UK and Europe are required to be CE Marked under the Machinery Directive before they are put into service. 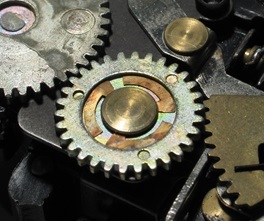 The Directive applies to machines that are new, but also applies to machines that have been built for own use, or where they have been modified or rebranded. It is important to read the definitions and exclusions within Articles 1 and 2 of the Machinery Directive to fully understand if your equipment is in or out of scope. Demonstrate conformity to the Essential Health and Safety Requirements of Annex I, or against the requirements of applicable harmonised standards. Once a manufacturer has completed these tasks and found that the machine fulfils all of these requirements, then the machine can be deemed to be CE marked and is now ready to be placed on the market. The full text of the Machinery Directive can be viewed on the European Commission’s website. For more support on CE Marking under the Machinery Directive, or to find out how we can help you, please call us on 01564 792349, or please complete our online enquiry form.